Nematodes are tiny roundworms that aren't always seen with the naked eye. Nematodes do a good job at eating away insects and garden pests such as aphids and beetles. This is why many gardeners introduce nematodes to their soil. Unfortunately, there is one type of nematode called the plant-parasitic nematode that likes to eat the roots of plant such as tomato plants. 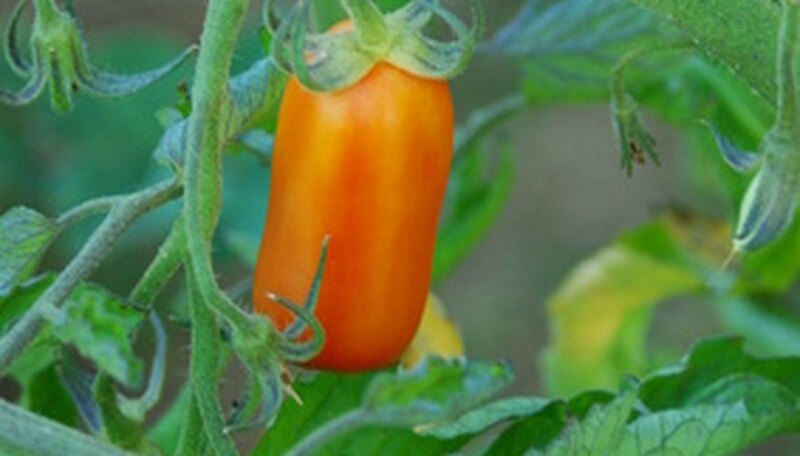 This can cause the tomato plant to turn yellow in color, and even wilt away and die if the nematodes are not controlled. Uproot your tomato plants and place them in a container with fresh soil. You can even bring them inside. It is necessary to do this because you will need to treat the soil where the nematodes are living. Use a hoe to break up the soil where you had planted your tomato plants. Bag up any stones, plant roots, or twigs that you find in that area and dispose of them. Mix together your water and sugar. Pour this over the area where you had your tomatoes planted. You want the soil to be moist, and this mixture is better for getting rid of nematodes. Cover your moist soil with a tarp. Make sure the edges are buried. This keeps the tarp from flying away when it gets windy. Allow the sun to beat down on the tarp for six weeks. The ground will get hot and the heat and the sun will kill any nematodes in the soil. Transfer your tomato plants back to their original soil that is now nematode free. Plant some marigolds near your tomato plants. Marigolds give off a chemical that will repel nematodes from visiting the area in the future. There is no insecticide or pesticide that has been proven to work on nematodes.